As technology advances and more professions are requiring data skills, our education systems are working hard to keep up and prepare students for this new workforce. Although complex datasets are often widely available to teachers, it is a challenge to make big data student friendly. Indeed, the forms that big data takes are often far from user friendly, due to cryptic labelling of measurements, unintuitive navigation through data repositories, complicated visualisations, and highly involved analytical requirements. Further, teachers are also often unfamiliar with big data analysis techniques, particularly at introductory high school levels. These barriers make it difficult for the average high school instructor to either teach or assess a comprehensive lesson using big data. There is a genuine need for a user-friendly data interfaces and curriculum to guide students and teachers through big data and empower them to answer their own inquiries with reassuring guidance. The Ocean Tracks program, developed by Randy Kochevar, Kira Krumhansl, Ruth Krumhansl and their colleagues, is a novel program aimed at engaging students in working with big data, using a subject matter that many students naturally gravitate to – charismatic marine animals. The program represents the hard work and efforts of a National Science Foundation funded interdisciplinary team of marine biologists, oceanographers, curriculum developers, web designers, teachers, and education researchers. The data provided in Ocean Tracks is described as CLIP: complex, large, interactively-accessed, and professionally-collected. Complex data includes multiple kinds of data types, collected using a variety of instruments and methodologies, which are not necessarily normalised or correlated with one another at the onset. The dataset is large in that it includes far more data than is necessary to approach any single question or hypothesis, offering students the opportunity to get creative with their questions, but also the challenge of homing in on what is critical to their research goals, while rejecting the rest. The data in Ocean Tracks is interactively-accessed as users have choices about what data to analyse and how to do so, along with options for how to visualise a given dataset. Finally, the data is all professionally-collected – it is the result of hundreds of marine biologists, oceanographers and climate scientists collaborating to provide a dataset that is far beyond what the students could generate on their own in a typical classroom experiment. Access to CLIP data is blossoming across multiple fields, offering students a window into vast astronomy measurements, images of outer space, weather and climate data, biological measurements from ecosystems around the world, and more. The task posed to distributors of CLIP data is providing not only access, but scaffolds to help students make sense of the plethora of information. Starting with a comprehensive database of measurements from scientists around the globe, the Ocean Tracks team collaborated to build an intuitive web interface, complete with learning modules and teaching resources. 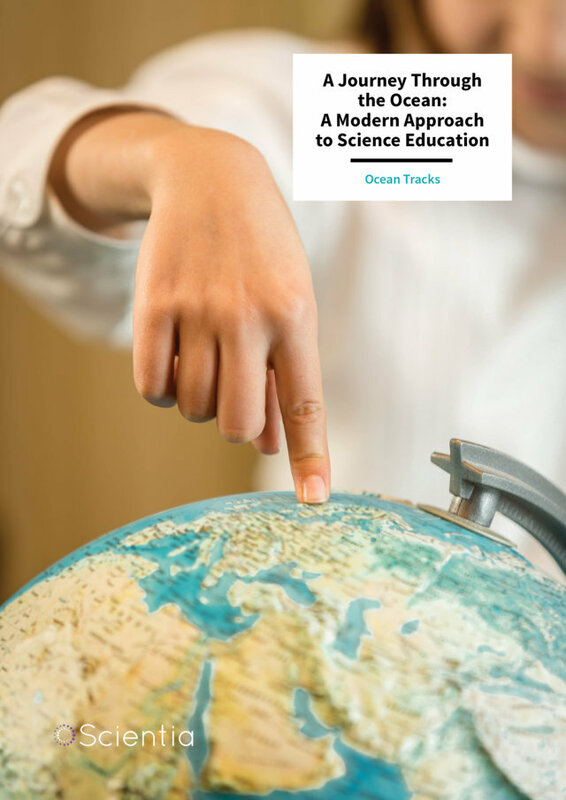 As a result, teachers are offered multifaceted support in leading Ocean Tracks modules, while they can also give students a degree of freedom to pursue questions that align with their personal interests. The program was piloted in high school science classrooms in 2013 and undergraduate classrooms in 2015–2016. The efforts and experiences of pilot teachers have provided numerous insights that have further shaped the program into a ground-breaking educational tool over the past five years. This groundwork has demonstrated the potential of such programs to facilitate advanced scientific and quantitative analysis using big data in high school classrooms. ‘We’ve come to appreciate the complex relationship that exists between interface design, curriculum development, teacher professional development, and student achievement,’ says Kochevar, co-founder of Ocean Tracks. He hopes that the lessons learned from this program will inspire other research groups to build similar programs. Through the Ocean Tracks modules, students are exposed to concepts in marine biology, oceanography, and ecology, while also developing core data literacy skills. The learning modules take students through authentic scientific investigations of the data, driven by the same questions that scientists in the field are currently asking with the same data sets. 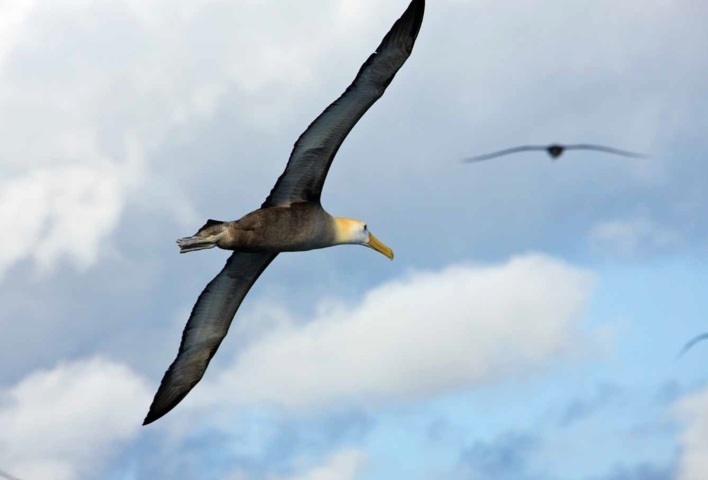 To hook students in, the program starts with a subject that holds near universal appeal to students – uncovering the long-distance migrations and behaviour of four species of charismatic marine megafauna – great white sharks, northern elephant seals, Laysan albatross, and Pacific bluefin tuna. Through the efforts of collaborating marine biologists, these animals are tagged with special electronic instruments that record factors such as location, depth, water temperature and salinity. Some of these tags even beam this data to satellites every time the animal comes to the surface. This data is offered in conjunction with datasets from Earth-orbiting satellites showing oceanographic variables such as temperature and sea surface chlorophyll concentration (a proxy for primary production), as well as a map of the intensity of human impacts in the world’s oceans. Students are able analyse migrations of their animal of interest, and begin to ask questions about why these animals travel where they do, and form hypotheses about what motivates their migrations and where they might go next. Unlike traditional classroom experiments, which are often heavily work intensive for the instructor and limit students to a constrained set of questions, Ocean Tracks offers the classroom access to a rich dataset, which allows for exploration and spurs meaningful in-class discussions. High school science teacher Mueller-Northcott described her students’ remarkable engagement and deep focus in their Ocean Tracks work. ‘This was not the kind of discussion that we have very often in my marine biology course,’ she said. ‘When confronted with variation in their measurements and conflicting claims, my students helped each other grapple with issues such as what constitutes evidence, what the data (and differences in the data) actually represent, the significance of patterns, and the meaning of data that don’t fit those patterns, and how to assess confidence in your own and others’ claims and evidence.’ Before her eyes, students gained incredible depth of understanding in how to approach scientific questions, and simultaneously learned how to contend with the massive and often variable datasets that big data brings to the table. The possible lesson pathways in Ocean Tracks offer a diverse exploration of intriguing and relevant core learnings. Students begin with an oceanography lesson that helps them understand how physical and chemical oceanographic conditions and processes determine which parts of the ocean are most rich in life. 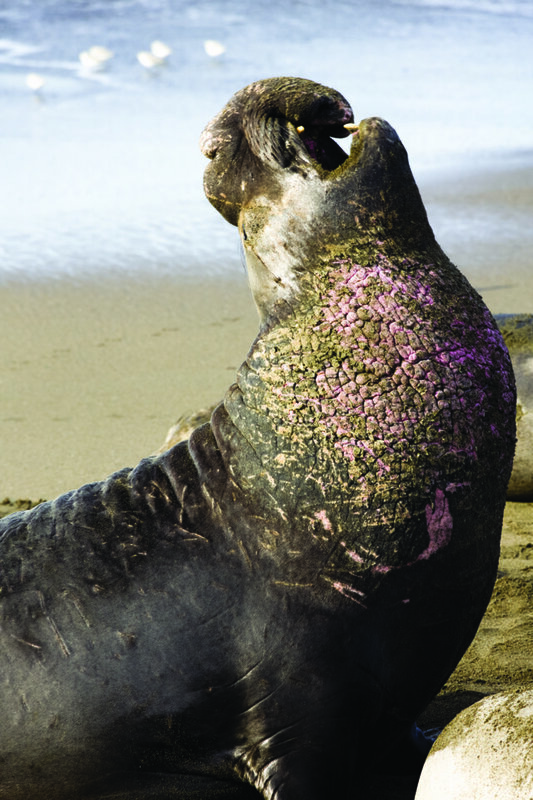 Students then explore animal tracks of a single and multiple species to determine where oceanic ‘hotspots’ occur, or areas with high biological activity. Students are then guided through a module where they work with data that overlays human impacts, such as pollution and fishing, with their species’ hotspots. This helps illuminate the role that human beings play in changing ocean ecosystems. The learning modules culminate in an activity that engages students in creating the design of a Marine Protected Area for their species of interest, developed using data investigations of biological hotspots and human activities. The learning modules were designed primarily as tools to teach core data literacy skills within the context of course content in Marine Biology, Ecology, and Oceanography. The data skills practiced by students in Ocean Tracks include skills such as evaluating data to identify issues of data quality, identifying and describing data patterns, developing conclusions using data as evidence, and evaluating alternative explanations for data. Many of the skills emphasised in the modules are categorised as Critical and Analytical Thinking – identified as being of primary importance in today’s educational system. Opportunities for independent investigation in Ocean Tracks are limitless. Once students have begun to master the core skills and concepts necessary for further exploration, they can begin to dive into the vast array of Ocean Tracks data to pursue their own questions of interest. 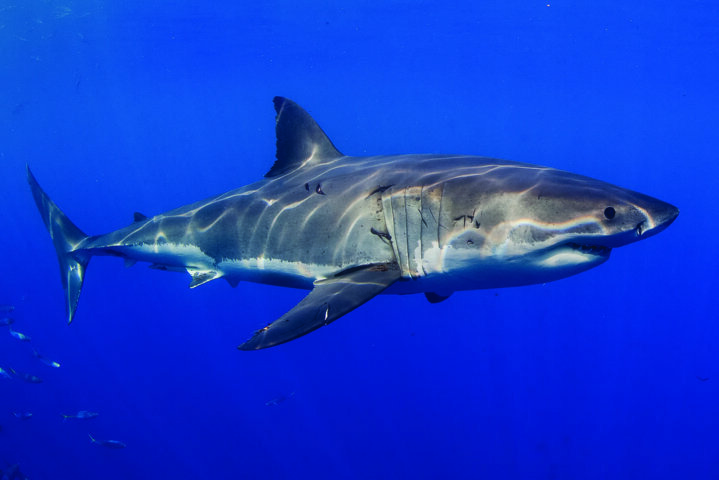 The data can be used to investigate hypotheses ranging from the effects of climate change on the location and use of biological hotspots to sexual differentiation in the feeding and migratory behaviour of white sharks.